To meet increased demand for flights to USA and Asia, SAS is increasing the number of departures to seven a week from Stockholm to Chicago and seven a week from Copenhagen to Shanghai. The new departures are part of the SAS plan to expand its long haul fleet network that also includes opening all-new routes. 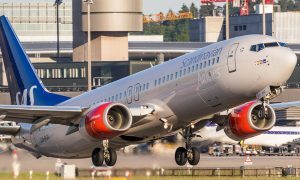 Earlier this year, SAS announced additional departures from Oslo and Stockholm to New York and from Copenhagen to San Francisco. SAS now announces three additional weekly departures – two extra flights to Shanghai and one more to Chicago. This means a daily service is now available on both routes. 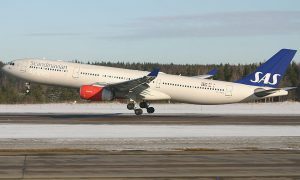 The improved services will coincide with the opening of the winter traffic program in late October and means that in winter 2015/16, SAS will offer 108 weekly departures between Scandinavia and the USA and 50 weekly departures between Scandinavia and Asia. 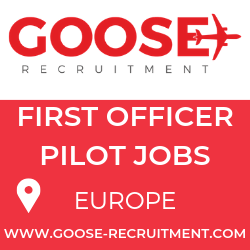 “The Scandinavian market is demanding flexible travels with good schedules and frequent departures. These new departures together with our upgraded long haul fleet and extensive network mean we have an incredibly strong service offer to both the USA and Asia that we intend to further strengthen in the near future. We look forward to offering our customers new travel opportunities and giving them a warm welcome aboard both our new aircraft and aircraft with our new cabins,” says SAS President and CEO Rickard Gustafson, SAS. In June, SAS announced plans to expand its long haul fleet. The first phase of expansion will enable extra flights to Shanghai and Chicago, and the full expansion plan will be announced as soon as possible. The new departures from Copenhagen to Shanghai will be on Mondays and Wednesdays. The new departures from Shanghai to Copenhagen will be Tuesdays and Thursdays. The new departure from Stockholm to Chicago and return will be on Sunday. 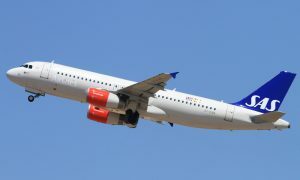 SAS offers long haul flights from Scandinavia to New York, Washington, Chicago, San Francisco, Houston, Beijing, Shanghai and Tokyo. In September 2015, SAS will open a new route from Stockholm to Hong Kong.